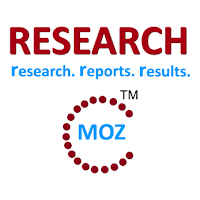 ALBANY, NY, July 2015 -- ResearchMoz.us includes new market research report " Australia - Telecoms Market Analyses - Top Trends Moving into 2016: Global Industry Analysis, Shares, Size, Trends, Growth and Forecast " to its huge collection of research reports. The Australian telecommunications market is continuing to see consolidation, as traditional services are being further commoditised and digital media companies are offering new communication services, free or at significantly lower cost. Thanks to new video streaming services such as Netflix, and an increased use of mobile broadband for a range of applications, people’s use of broadband has increased; however a squeeze on margins of services such as broadband access doesn’t mean that such increased usage of telecommunications also accounts for any significant increases in industry revenues. The industry will still need to further transform itself in order to be able to handle the dynamics of the market, which include lower margins, commoditisation, new technologies and competition from outside the traditional market. The new billion dollar companies in the digital media are light on assets and light on staff; and their business models are based on transactions facilitated by their software-based services and done in an automated way by the users of their assets, using algorithms, big data, cloud computing and datacentres. There are plenty of new opportunities in the market. Now that the quality of broadband access is improving – albeit still rather slowly – new markets are opening up in healthcare, education, government services, smart grids, smart cities, connected homes, wearable technologies, IoT and M2M – the list goes on. Telecommunications companies should take a leadership role in these developments but so far the key developments in these areas come from other organisations. Telstra is an exception here, with the leadership role it plays in the development of the e-health market in Australia. For the time being, however, cost-cutting, consolidation and mergers will continue to dominate the telco industry. At the same time an ongoing barrage of innovations, new technologies, new apps and new services will shape the telecoms market. It is an extremely dynamic market with lots of twists and turns, set to continue into 2016 and beyond. With the NBN and LTE now well and truly underway it is important to look at what will be the real value of this new infrastructure. This ‘Internet of Things’ (M2M, Pervasive Internet and Industrial Internet) is going to be a real game-changer. It will transform every single sector of society and the economy and it will be out of this environment that new businesses – and indeed new industries – will be born. This is one of the reasons so many overseas ICT companies are increasing their presence in Australia. The LTE will take a leadership role in the development of M2M but the NBN is also an ideal test-bed for such developments. A great deal of attention is being paid to cloud computing and the NBN can be viewed as one gigantic cloud. The number of connected M2M devices will grow to somewhere between 25 million and 50 million by 2020. The most critical issue here is strategic management, rather than technology. However the fact that big data has become a vital tool in competition is forcing many companies to transform their organisations from a company-centric approach to a customer-centric one. The development of smart cities and indeed smart countries require vision and recognition of the fact that many of today’s social, economic and sustainability problems can only be solved with the assistance of ICT. In many situations the ubiqueness, affordability, capacity, robustness, security and quality necessary for this calls for fibre optic and high-speed wireless infrastructures. This need will increase dramatically over the next 5 to 10 years as industries and whole sectors (healthcare, energy, transport, water) carry out the process of transforming themselves in order to much better address the challenges ahead.